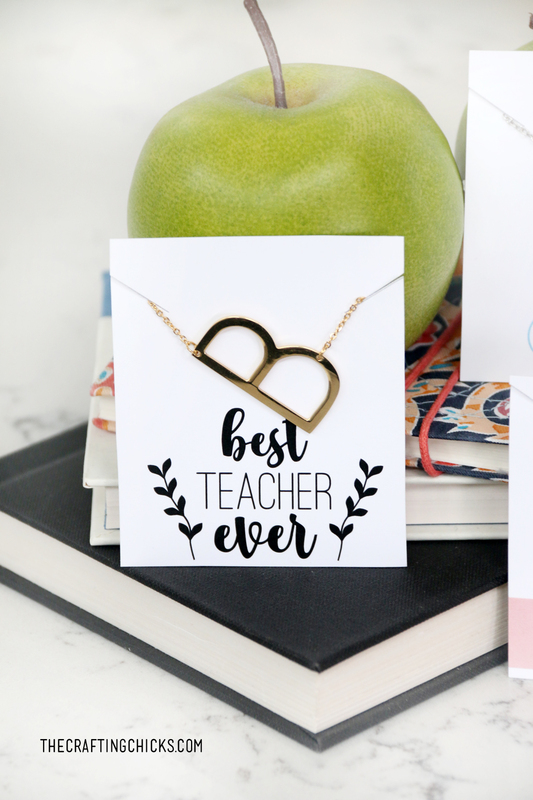 Show those teachers some love with these beautiful Teacher Necklace Cards. 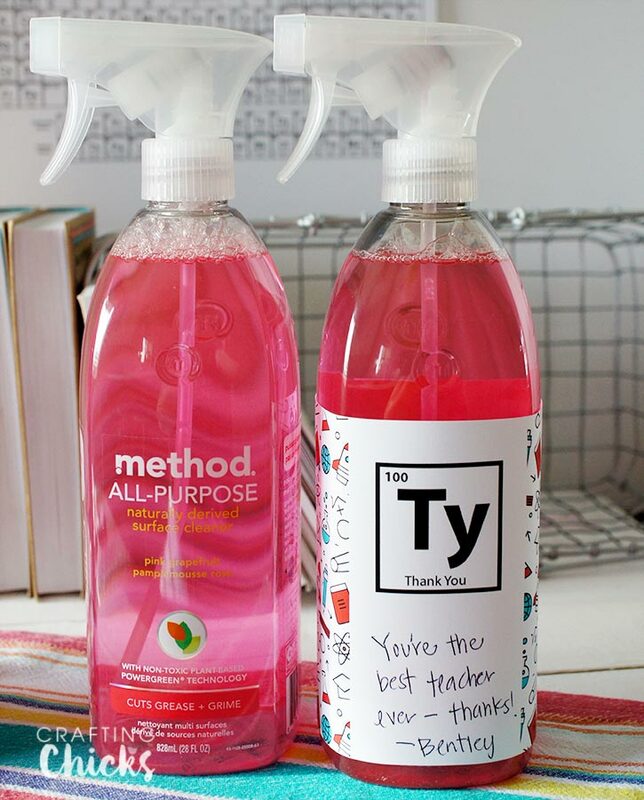 The perfect way to show those teachers how much we appreciate them. We LOVE and appreciate teachers! 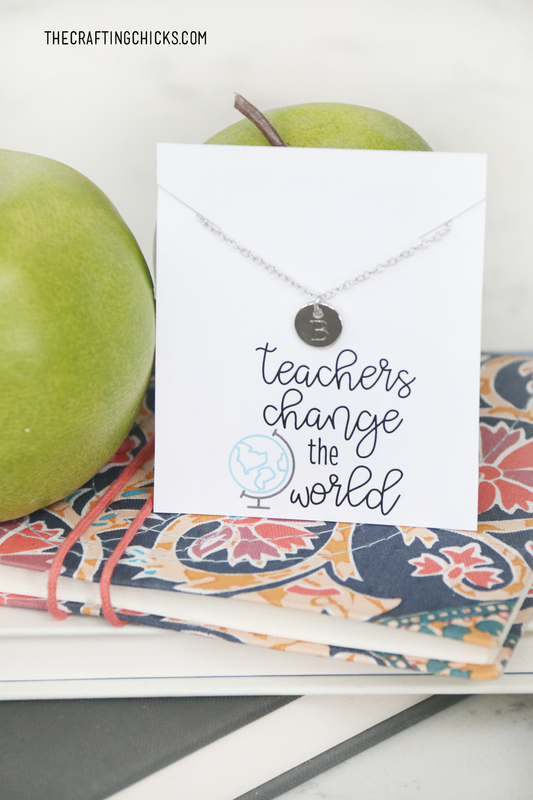 This year we created TEACHER NECKLACE CARDS to give some of our favorite educators. We are so thankful that we are able to celebrate Teacher Appreciation Week at our schools each year. 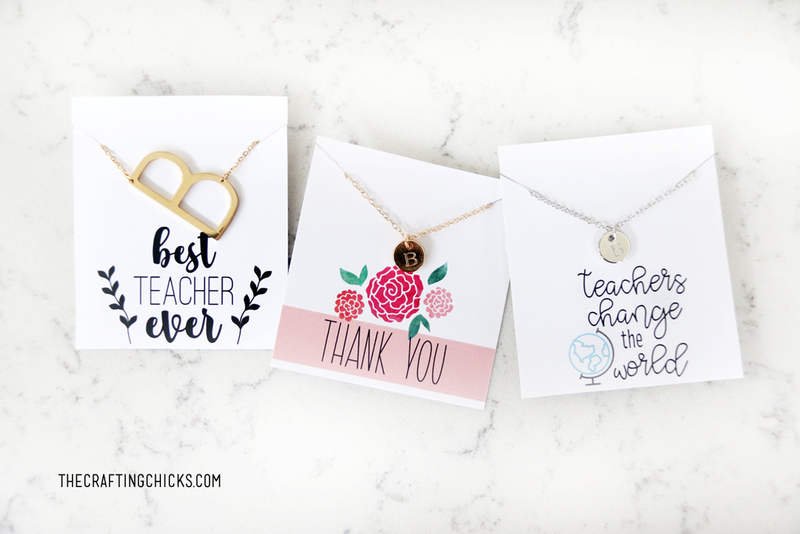 Teachers deserve to be showered with love and some thoughtful gifts. 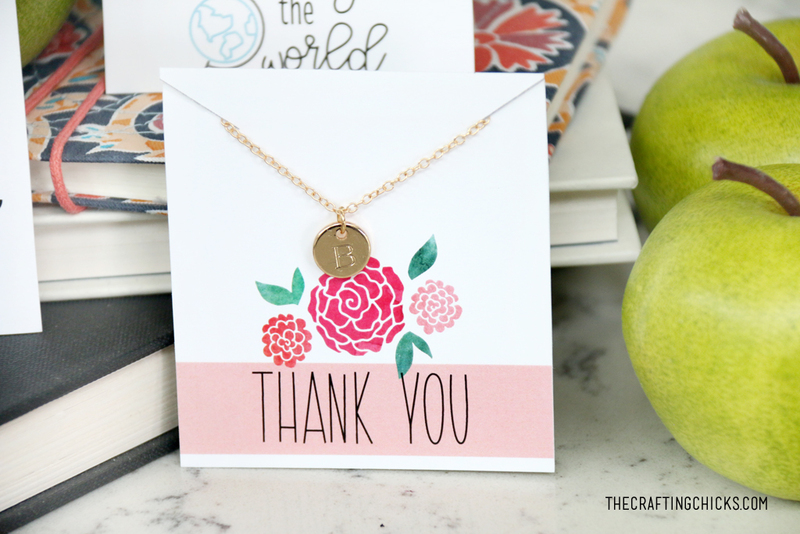 A monogram necklace makes a very sweet teacher gift idea! 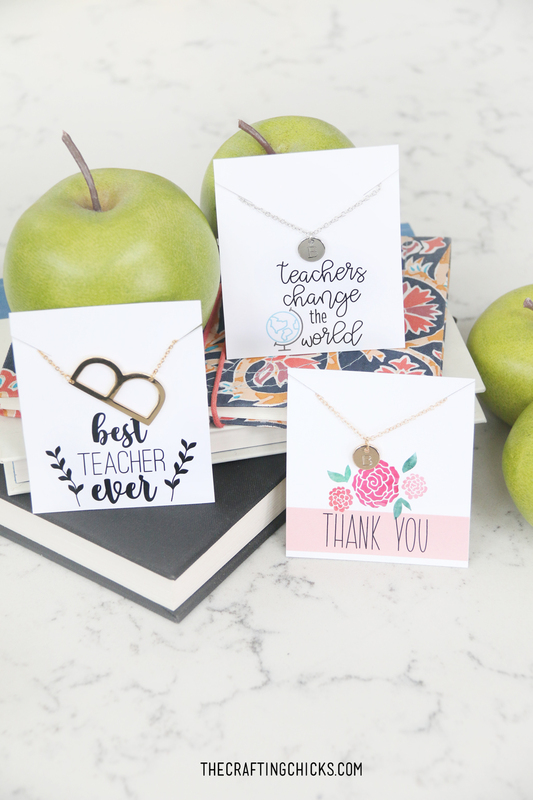 We’ve partnered with noVae Clothing to design these beautiful Teacher Necklace Cards to help make gifting easier. We have a special deal right now with noVae Clothing. If you use our special code: craftingchicks and buy 2 or more necklaces, you will get FREE shipping. The code applies to the Large Initial Letter Necklace or the Small Coin Initial Necklace. 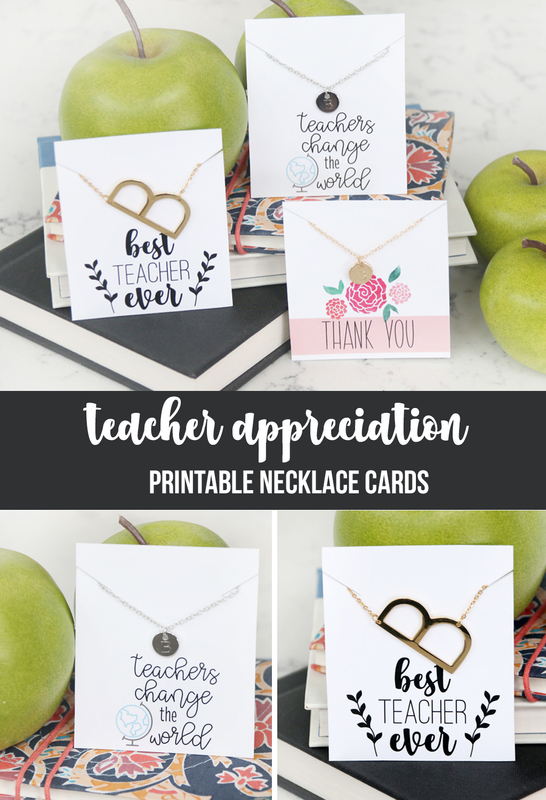 First Download and Print the Teacher Necklace Tags. Then, using Scissors, cut out each tag. Use your scissors to cut on the two diagonal lines on each side of the tag. Attach the necklace to the front of the card with the chain in between each strip on either side of the card. Add a piece of tape to the back of the necklace to keep the chain together and the necklace secure on the Teacher Necklace Gift Tag. Sent the Teacher Necklace Gift Tag for Teacher Appreciation Week. The end of the year is also a great time to send a nice gift for teachers, principals, or secretaries at school. 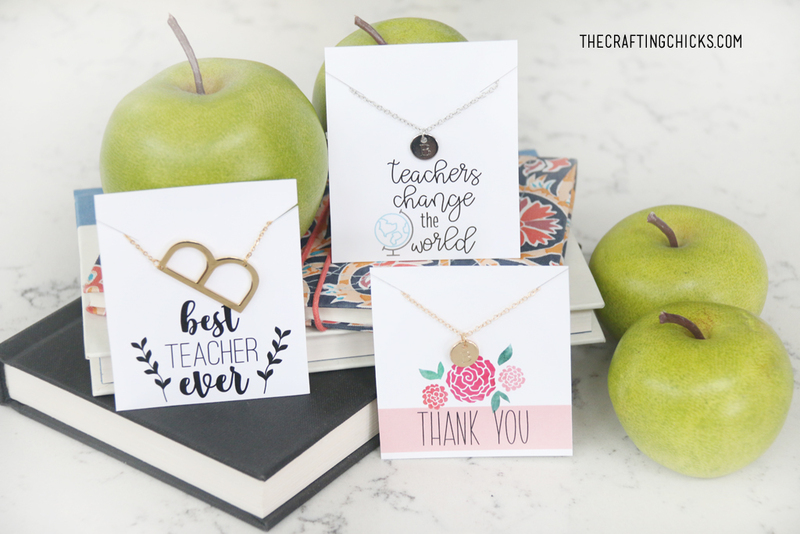 Teacher Necklace Tags Download Below. Personal Use Only Please. 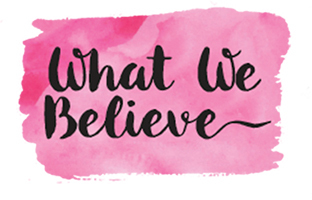 All downloads, designs and printables are Property of The Crafting Chicks, LLP. Attach this clever gift tag to any food, snack or Restaurant gift tag. 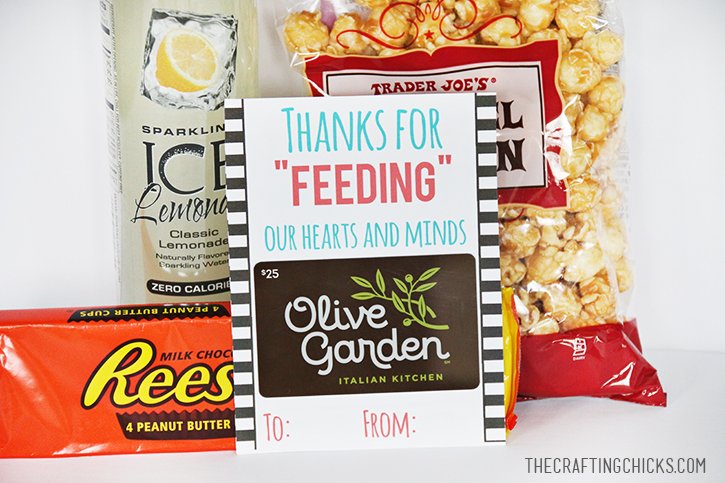 The clever line on the printable reads “Thanks for ‘feeding’ our hearts and Minds. Teachers will love this gift idea. How cute and clever are these adorable “Periodic Element” themed gift ideas for teachers. Just attach to our Favorite Cleaning Spray! 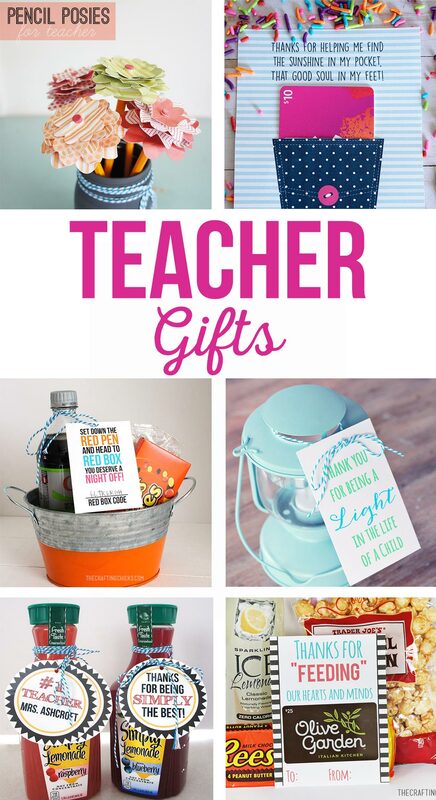 We’ve rounded up some awesome teacher gift ideas! Click over to see how clever and fun gift giving to teachers can be. Find the perfect gift for the teachers in your life!